I do not see anything different between these two when I add them into a BP. 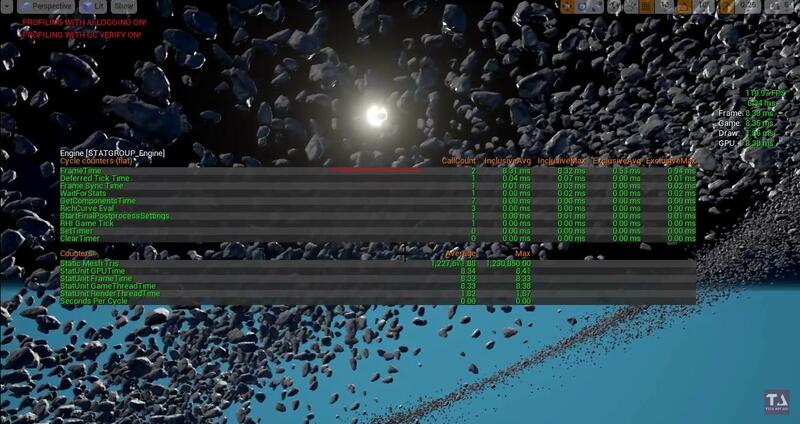 Both have the same details panel, so is there something different with the Instanced Mesh? 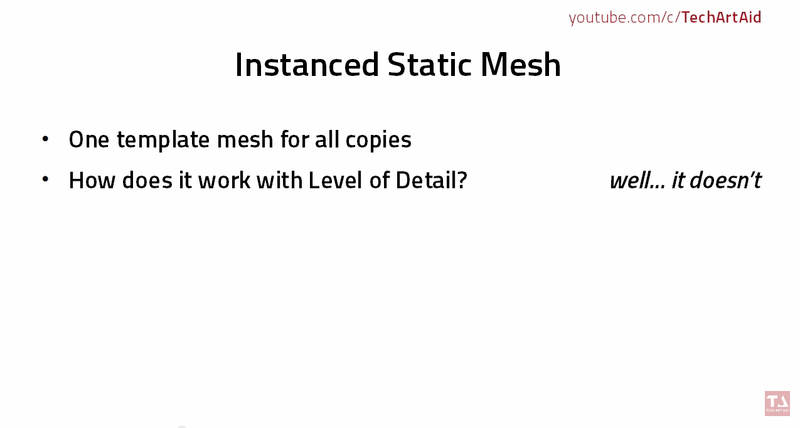 I also cannot find any documentation on the Hierarchical Instanced Static Mesh Component. The hierarchical instanced static mesh came with the new foliage improvements I believe. I would also like to know more about what they exactly do, and if the same foliage improvements can be seen in other instances by using the node. 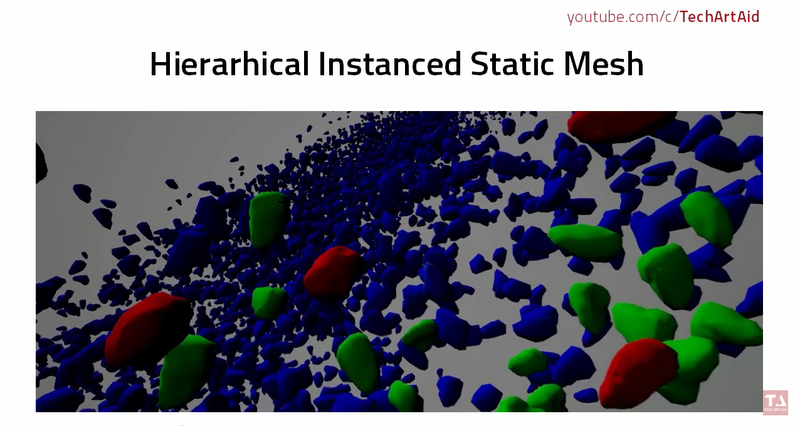 Using instances in one "Instanced Static Mesh Component" (or short ISMC) is much more performant than using multiple static mesh components. But ISMC have some limitations, one is you can't have individual LODs for each instance. So every instance has to show the same LOD, which makes ISMC not very usable for anything that depends on LODs. But since Static Mesh Components are expensive, there needs to be a different solution for foliage. Foliage is generally expensive, so you need to have LODs. So something like an ISMC just with the ability to use LODs would be awesome, right? Now, there is the Hierarchical Instanced Static Mesh Component, and guess what feature it has? It can display individual LODs for each instance with smooth fading between LODs! Great for foliage. Now I'm not 100% sure, but I guess that HISMCs are a bit more expensive than ISMCs since they have to make the LOD calculations. And unfortunately HISMCs are still a bit buggy when it comes to adding or removing instances while the game runs, but they are the only way to get a lot of foliage in your game with still having nice performance with still having full control about all the foliage. The procedural foliage toll internally also just uses HISMCs and the regular foliage tool too I guess. You'll have to tweak LOD screen sizes (in the Static Mesh editing window), testing how they behave in the viewport. For some reason, these screen sizes kick in at different distances in HISMs, compared to an individual mesh. Is current version of the Foliage implementation (as of UE 4.17) using HISMC or ISMC? John seems to say it does but the documentation does not reflect this. Why are there never any answers on animation questions? Can AnswerHub be renamed QuestionHub? Should I create armor as different models? Any budget Pcs for UE4?? ?